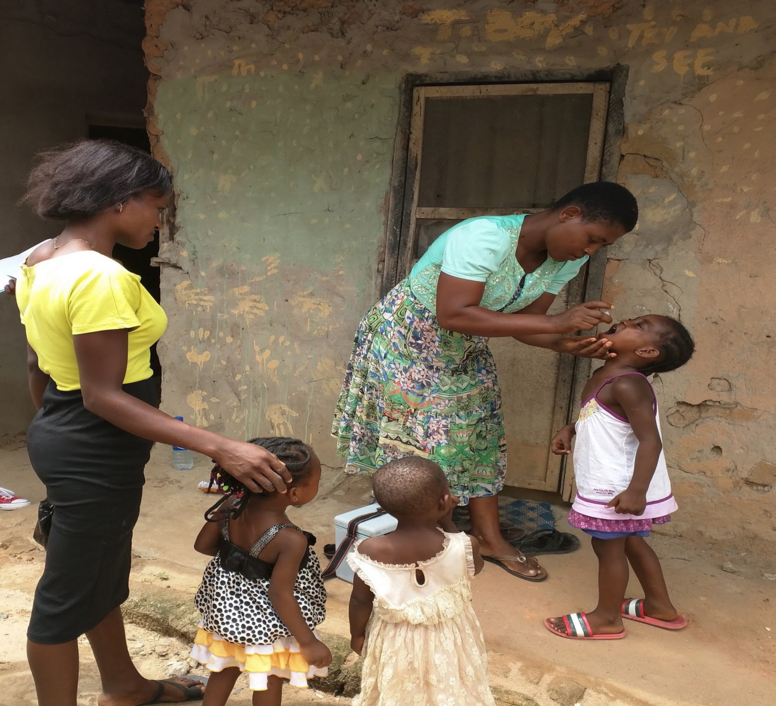 The real story of Nigeria’s immunization coverage rates is told at the ward level. For over five years, eHealth Africa through the Vaccination Tracking System program has been supporting the increase in immunization and geographical coverage rates of 4017 wards across 19 states. eHA, through the Vaccination Tracking System program (VTS), acts as the eyes of the immunization coordination teams at national, state and local government levels. They are able to gain a deeper understanding and insight into what exactly takes place at the wards, communities and settlements during the house to house immunization campaigns. The VTS program uses software- encoded phones that track, record and store the coordinates of their locations- and all the vaccinators have to do is take the phone with them on their vaccination exercises. eHA also deploys project field officers to each local government area, to handle any technical difficulties and to ensure that the data from the phones are uploaded to a dashboard. At the review meetings that take place daily, eHA paints a picture of how much progress has been made- breaking it down to local government, ward and if necessary settlement levels. Nigeria has always struggled to improve Routine Immunization (RI) coverage rates. The major challenge was the discrepancy between the high number of missed children discovered during monitoring visits and the high numbers of vaccinated children reported by field vaccination teams. Stories and reports of vaccinators pouring away vacci nesor refusing to visit settlements were common but holding them accountable was difficult. In line with eHA’s virtuous cycle strategic model, the Vaccination Tracking System program arms the federal and state governments, ministries of health and partner organizations with reliable data and insight, that they can quickly use to make informed, evidence-based decisions. VTS is a game changer because it helps the immunization coordination teams- World Health Organisation (WHO), United Nations International Children’s Emergency Fund (UNICEF), National Primary Healthcare Development Agency (NPHCDA), Nigeria’s Federal Ministry of Health and partner organizations- discover exactly what settlements the vaccinators have visited or not; as well as what locations they had visited within each settlement. VTS also gives the relevant partners a visual representation of which wards or settlements were underserved thereby, enhancing the ability of the national and state RI task teams to target such communities. VTS motivates the ward focal persons (WFP) and LGA teams and removes the risk of complacency especially in wards with high coverage rates. Results of each campaign day’s activities are delivered by proportion of settlement type covered and overall percentage coverage for each ward. In other words, WFPs are told the percentage coverage of their wards that have been covered and locations where they need to pay more attention to. This inspires them to work harder and more efficiently. VTS has improved the capacity of WFPs to investigate low coverage rates, get answers and where necessary, conduct trainings for the vaccinators. Through VTS, a WFP in Barawaga Ward of Bodinga LGA of Sokoto State discovered that his ward was recording low coverage rates, not because his vaccinators weren’t going to the communities but because they weren’t spending the required minimum time at each house. Empowered with this knowledge, he was able to train his vaccinators to observe best practices during the campaign. Where vaccinators consistently under- vaccinate, even after being trained, adequate actions can be taken. The Vaccinator Tracking System is helping Nigeria, starting with the northern states to improve our coverage rates, one track at a time. As we mark World Immunization Week and African Vaccination Week, the eHealth Africa (eHA) team is very proud to be part of the global team working to end polio in Nigeria. One of the interventions we participate in is the Immunization Plus Days (IPDs). We use geospatial technology and data to support the governments and our partners for immunization activities to contribute to the eradication polio in Nigeria with the vaccination tracking systems (VTS) technology and program. VTS works by tracking geo-coordinates visited by vaccinators giving the oral polio vaccine during IPDs campaigns, to monitor their activities. These geo-coordinates are compared against already mapped settlements to ensure 100% coverage during immunization campaigns. Our team provides support by providing the application and technical support to local government area teams during these periodic IPDs campaigns. We are working to increase the number of children under 5, vaccinated against polio to interrupt the of transmission of Wild Polio Virus (WPV) in Nigeria. Recently our teams participated in IPD campaigns in a number of states Nigeria, including Adamawa, Borno and Yobe states. 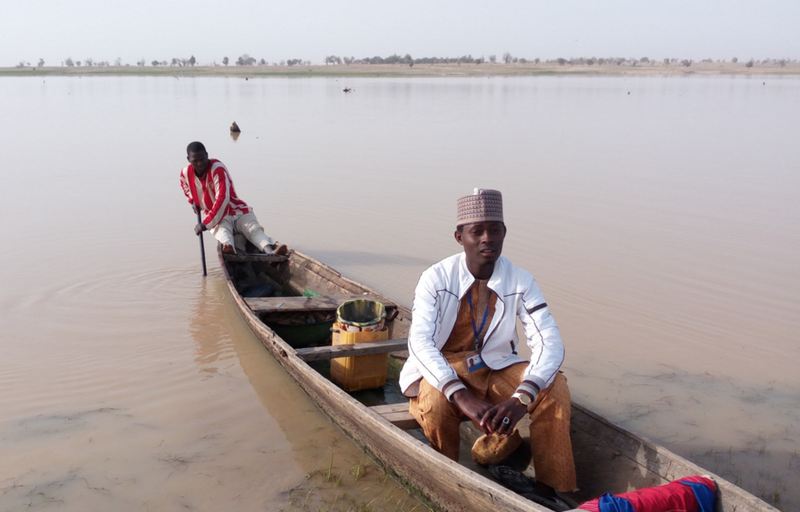 Click through our slide show below as Abdul, one of our project field officers, shares his journey of the recently concluded IPDs campaign in Adamawa state. eHA team with our partners from the World Health Organization (WHO), Adamawa State and LGA health workers. These power charging stations are essential to our success. We ensure that each vaccinator has a fully charged device every day to capture all the data from the field. 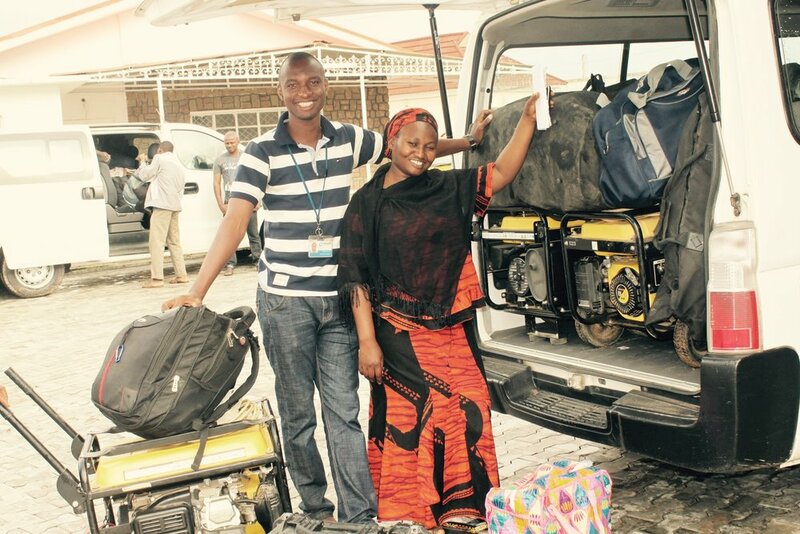 After another successful IPD campaign, we’re now ready to head to Yola then back to Kano. In response to the two wild poliovirus cases detected in Borno State in August 2016, the first outbreak response campaign is set to run from August 27-30 in five Northern states. eHealth Africa will be providing support for the campaign by supplying over 8000 GPS-enabled mobile devices to field vaccination teams to enable the collection of geo-coordinate information on settlements reached during their house-to-house visits. To provide technical field support, eHA has deployed over 70 field staff to 37 Local Government Areas (LGAs) across the five Northern states. Data collected by the vaccination teams will be uploaded onto a local server to enable key health administrators and partners, at the LGA and state level, to visualize the data collected from the daily field activities on the Vaccination Tracking System (VTS) dashboard. From the results, polio program stakeholders will be able to see the percentage of geo-coverage achieved and most importantly, the number of missed settlements that will require follow-up visits. This information will help stakeholders make timely and better-informed decisions to ensure all eligible children in the regions are immunized with the Oral Polio Vaccine (OPV). Since 2012, eHA has worked with the Nigerian Government, the Global Polio Eradication Initiative, and other partners to stop the transmission of the poliovirus and completely eradicate the disease from Nigeria. So far this year, Nigeria has seen zero new cases of paralytic polio, with the last case declared in Nigeria on 24 July 2014. This is significant for Nigeria, which was one of only three countries in 2015 still considered endemic. In Africa as a whole, the entire continent is now non-endemic for poliovirus. eHA continues to implement polio projects in Nigeria through Polio Immunization Plus Days (IPDs) that focus on Vaccinator Tracking and an eTallySheet pilot. These ensure all children in Nigeria are polio free. In the Vaccinator Tracking program, eHA equips field vaccinator teams with GPS-enabled phones which are carried throughout the course of IPDs. The phones pick up and track the geographic coordinates of the settlement locations visited. Tracked coordinates are then uploaded by eHA staff into a custom Vaccination Tracking System (VTS) dashboard that state health administrators and partners can access during daily campaign review meetings. These meetings happen at local government and state levels with the purpose of monitoring field vaccinator team movements, discussing the percentage of geo-coverage achieved that day, and ensuring settlements missed by vaccinator teams are targeted during the fifth and final day of the campaign (known as a “mop up” day). The eTallySheet (eTS) project is funded by the World Health Organization and the Gates Foundation and provides a digital method of gathering immunization information during polio vaccination campaigns. Benefits include the timely digital submission of data and validation of population estimates (specifically for children under five) in areas known for poor enumeration data, high growth populations, and migratory populations. eHA also provides GPS-enabled phones with Open Data Kit collection forms to locally recruited eTS supervisors. These supervisors follow house-to-house vaccinator teams during IPD campaigns, and record important vaccination data per household visited. The March IPD campaign took place from March 19-22. 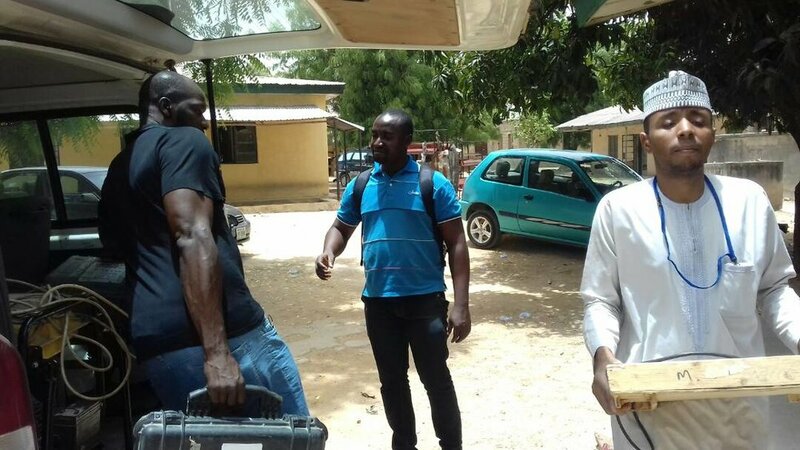 While eHA staff usually support vaccinator tracking in the Northern Nigeria region, this campaign involved project field officers being deployed to 10 southern states(Cross River, Bayelsa, Edo, Ondo, Oyo, Osun, Ogun, Lagos, Ekiti and Delta). They carried out vaccinator tracking activities and eTS implementation across 60 wards in 26 Local Government Areas (LGAs). 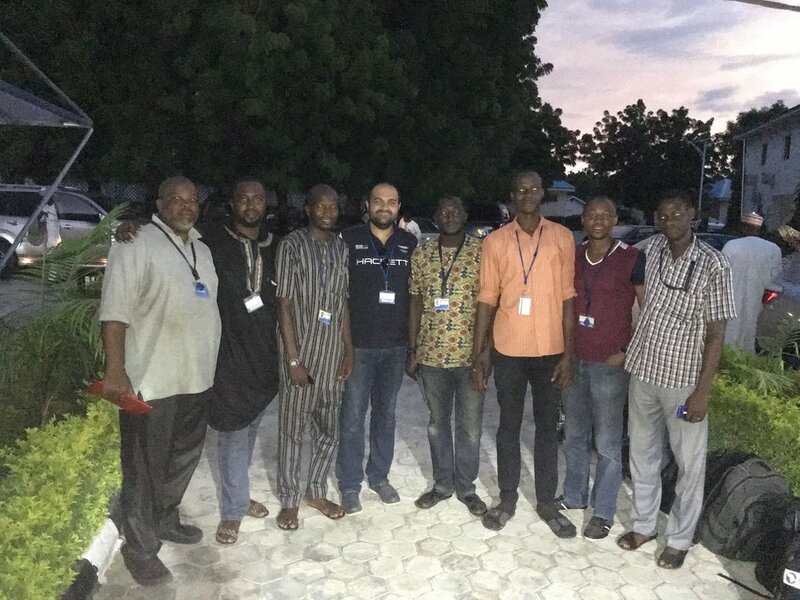 A total of 63 eHA field officers were deployed to train, supervise and monitor 279 locally-recruited eTS team supervisors. The field teams encountered unique experiences and challenges during this IPD round due to their deployment to new states with unfamiliar terrains and infrastructure. Many ward destinations were a long distance from the campaign take-off points (up to five hours travel time), so some teams were unable to get back in time for day-of uploading of collected data. In some LGAs, teams were delayed while resolving issues with local governments, resulting in long days. Awareness of security challenges required practical strategies to keep the campaign moving forward efficiently. The eHA team saw great enthusiasm and excitement from local health workers regarding vaccinator tracking. Locally-recruited eTS supervisors were fully engaged in the eTS application training and mastered it quickly. In Northern Nigeria, house-to-house vaccinations were the main focus, however in Southern Nigeria, vaccinations were administered at churches, markets, and mosques. In the end eHA field officers successfully conducted the vaccinator tracking and eTS implementation exercises for the March IPD campaign. We look forward to the next IPD campaign May and remain committed to supporting the Nigerian government to achieve it’s goal of receiving the World Health Organization’s polio-free certification by 2017.